An EIN, or Employer Identification Number, is a nine-digit number assigned by the IRS. The IRS uses the EIN to keep track of tax accounts associated with a specific entity. This number also assures that any tax preparer knows what specific forms to use. Although it is called an “Employer” Identification Number, you do not need to have any employees to need an EIN. It is free to obtain an EIN. According to the IRS, getting your EIN online is a free service, and you can obtain one immediately. While the IRS offers this service for free if you go through the agency directly, it is also possible to hire a separate entity to go through the process for you. If you have hired such a company to apply for the EIN on your behalf, you may have to pay it a service fee. This fee does not come from the IRS and thus will vary based on the representative you hire. When filing for an EIN online, you are able to get your number immediately and are free to use it to open accounts and pay taxes. It is important to note, however, that only one EIN may be issued to the owner of each business. If you are acting as an agent of a business owner, the number will be mailed to the business owner. As an agent of the owner, you are only the agent and do not have ownership of the EIN. Because this service is immediate, you can only apply online Monday through Friday, 7 a.m. till 10 p.m. Eastern Standard Time. Please be aware that the office and its related services will not be open during federal holidays. Finding a business’s tax ID number or EIN is a fairly straightforward process, provided that you know where to look for the information. You can use EDGAR, the U.S. Securities and Exchange Commission's search engine, to find any business’s EIN, or you can do a tax ID lookup. All EIN information is within the public domain and is free for anyone to access. As long as the business has an EIN, you will be able to find it with EDGAR. EDGAR provides access to any company’s EIN number. If you are unsure of a company’s information, the search engine allows you to look using just parts of information. For example, if you are looking for a housekeeping service owned by a man named Robert in Columbus, Ohio, you can search by the company name, even if you know only parts of the name. You’re not sure if Robert goes by Rob, Bob or Robbie, but you do know that he calls the company “Name’s Housekeeping and Handyman,” you may search for “Housekeeping and Handyman” and will be able to find a list of businesses that include that in their name. Without the internet, you can usually locate your employer’s EIN just by looking at your pay stub. The EIN will be formatted as a nine-digit number with a dash, like 12-3456789, and listed as the EIN or the Tax ID. Your employer isn’t legally required to have its EIN on the paystubs, though most will, particularly if they use a payroll service. 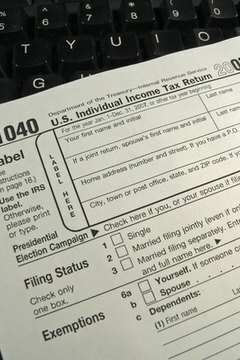 In case your employer doesn’t list its EIN on your pay stub, you can find it in Box B of your W-2 form. The EIN/Tax ID is always located in that box and is required on every W-2 form from a paying business. If you need help finding it, the box is typically located above the name of your employer or below its address. Smyth, Danielle. "How to Find EIN Numbers for Free." , https://legalbeagle.com/6669278-ein-numbers.html. 13 February 2019.